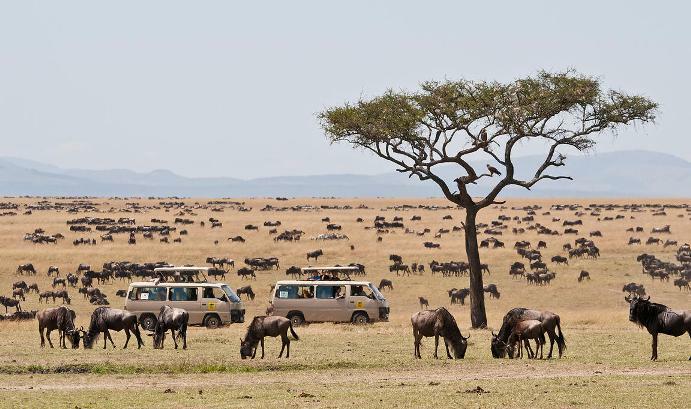 Depart Nairobi in the morning and drive to the floor of the Rift Valley – to Maasai Mara Game Reserve arriving Masai mara tented camp in time for lunch. Enjoy lucnh at the camp and thereafter head for afternoon game drive till late. Dinner and overnight at the tented camp. Our Game drives are flexible, with the option of going out with picnic lunch boxes to spend entire day in the the park, or you can choose to have early morning and late afternoon game drives. 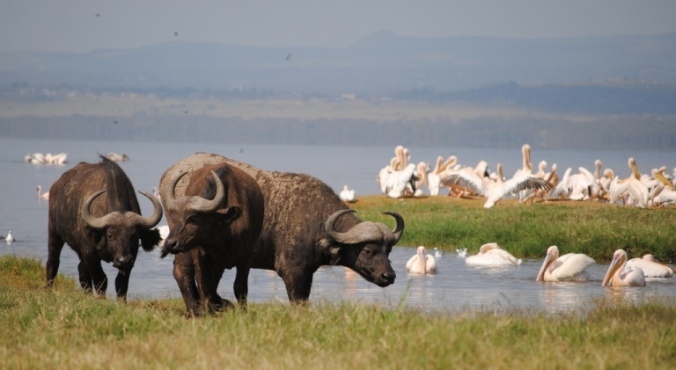 Depart Maasai Mara after breakfast for Lake Nakuru National Park, arriving wildlife of Kenya guest house in time for lunch. Enjoy your lunch which will be prepared by our professional Africans cook, later afternoon game drive. Besides the flamingos that the lake is famous for, there are approx 400 other species of birds visiting the lake. Also, many species of game can be found in the park including the introduced Rothschild’s giraffe, black and white rhino, waterbuck, reedbuck, lion, buffalo, leopard, baboon and many species of plains game. Dinner and overnight at the lodge. Early morning Kenyan coffee and you leave for morning game drive in Nakuru, later come back to the camp for breakfast as you prepare to depart for Nairobi arriving approx. 1300 hrs. Drop at your hotel or transfer to the airport for onward flight home. End of services. – Transportation in a custom safari minibus with pop-up roof ideal for game viewing and sightseeing. – Expenses of personal nature such as visas, travel/baggage insurance, laundry, beverages, tips etc.